Click thumbnail photos to view enlarged images. 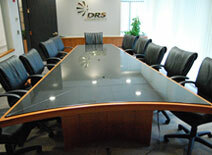 Board rooms are the center of any office bringing staff and clients together. 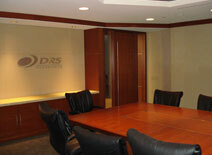 Our designs create a unique environment that is both functional and impressive while being a comfortable space to conduct business in. 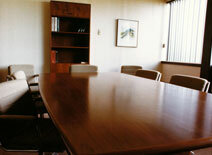 The styles and materials used vary depending on the clients needs and reflect their personality. 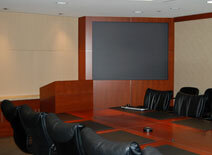 We work with the audio visual engineer to fully integrate these systems into our finished product. 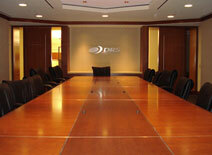 Some examples of our work include tables, lecterns, credenzas, a/v surrounds, wall paneling and trim, and entry doors. 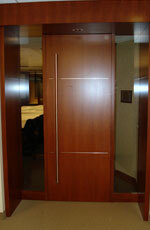 © Copyright 2010, Bennett Cabinets. All Rights Reserved. Website design and maintenance by CJ Technology.